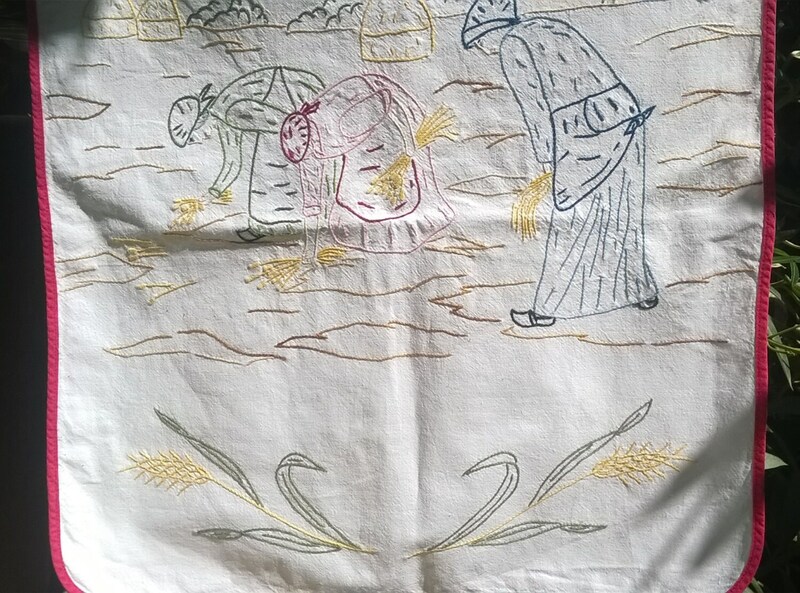 Harvesting Villagers hand embroidered white curtain lace trimmed. 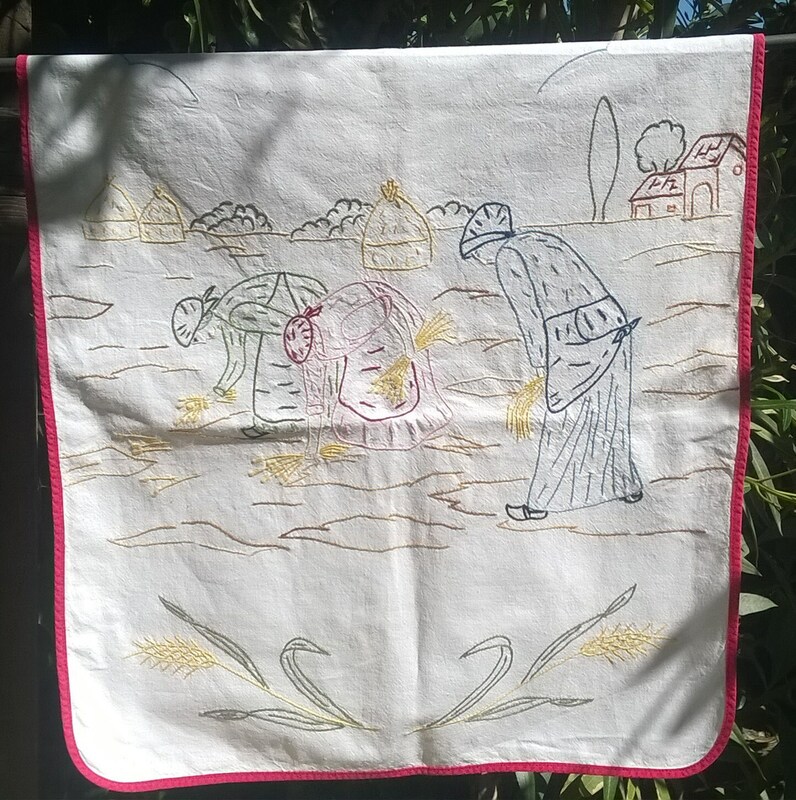 Vintage French handmade cotton valance . 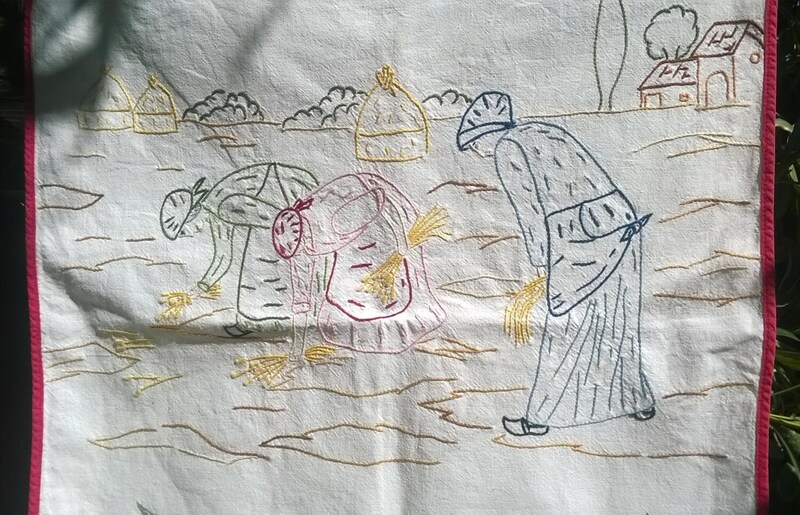 Gorgeous Multicolored French Folk Villagers, Houses, Wheat hand embroidered. 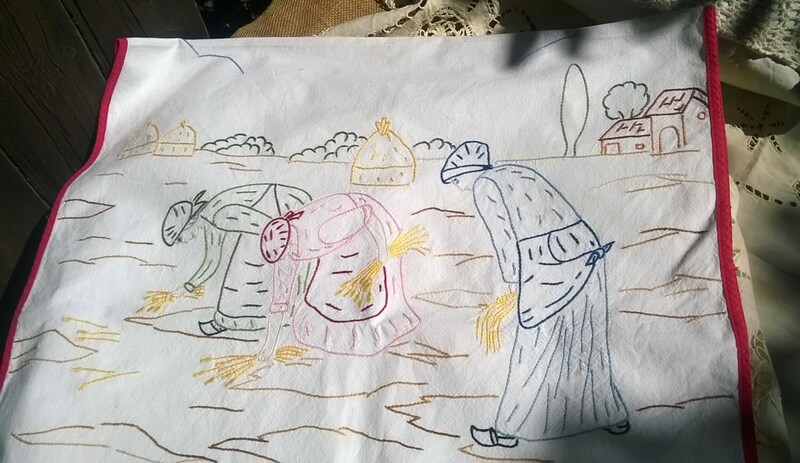 Those curtain was hiding kitchen towels. 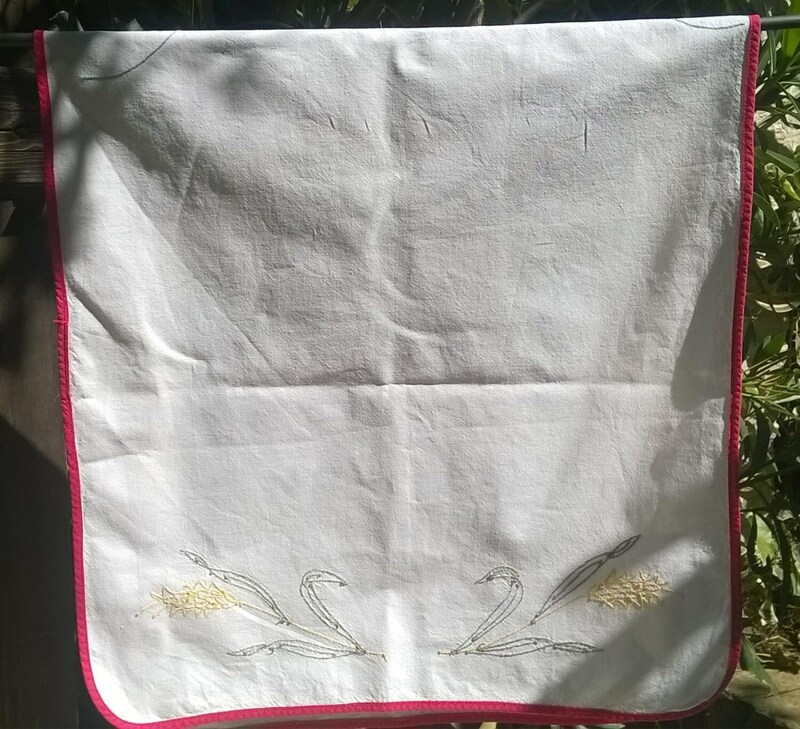 Fantastic to be in use again on your kitchen window or to hide your towels again or as a runner or for sewing projects such as bag !